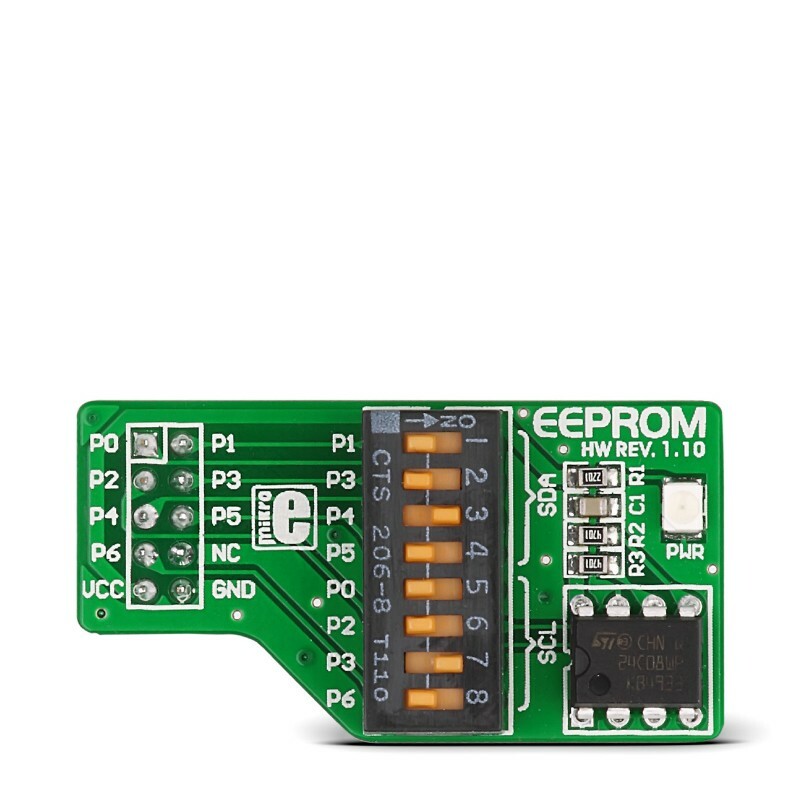 The EEPROM board features a high reliable, high performance CMOS technology serial 8K EEPROM 24C08WP. The EEPROM board features a high reliable, high performance CMOS technology serial 8K EEPROM 24C08WP. It offers significant advantages in low-power and low-voltage applications. The 24C08WP EEPROM uses the I²C addressing protocol and 2-wire serial interface which includes a bidirectional serial data bus synchronized by the clock.